Panshanger Primary School is situated on the east side of Welwyn Garden City. The school opened in January 1969 and a Nursery class was added in September 1997. Our school is built on land that was originally part of the Panshanger House estate owned by Lord Desborough of the Cowper family. It was the first school built on the estate. Whilst building the school, the grave of an Iron Age chieftain was unearthed, dating from between 25 and 10 BC. 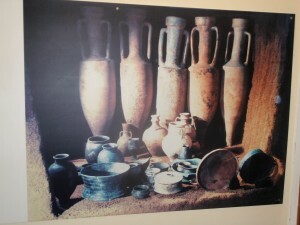 Artefacts from the grave, including an Italian silver cup, are now on display in the British Museum and a photograph is on display in the school entrance.